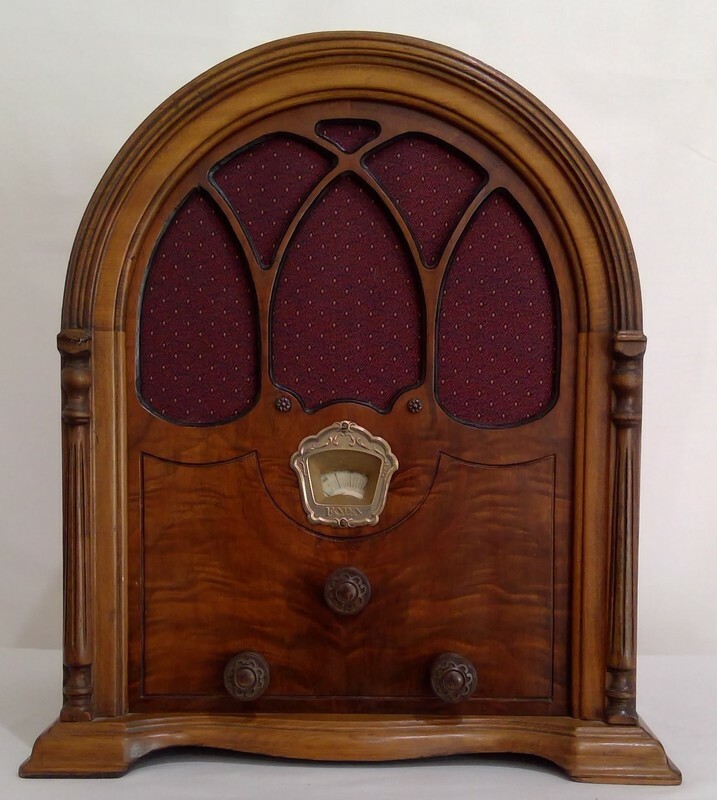 1931, model 51, radio manufactured by Fada Radio & Electric Co., Long Island, New York, USA. 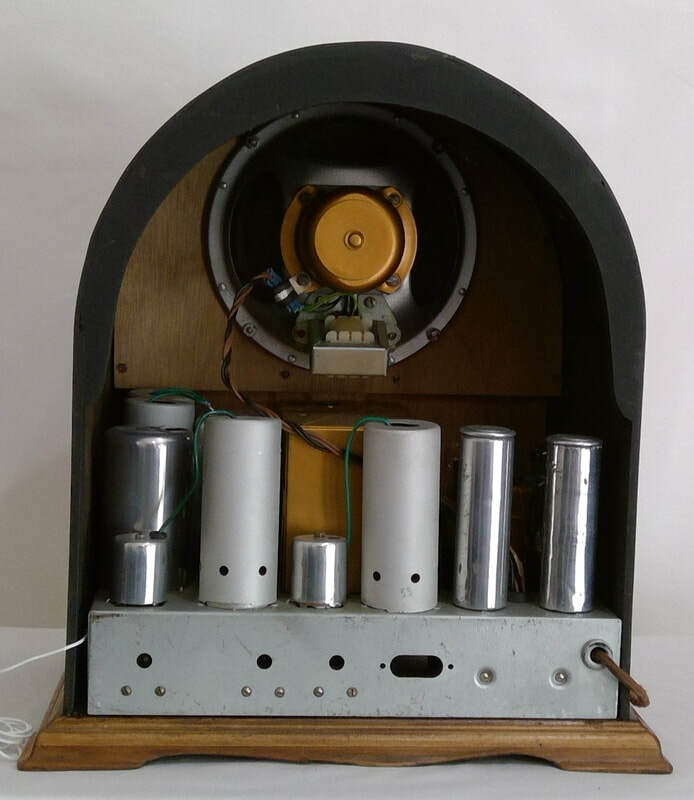 It is a super-heterodyne with RF stage and AC mains. It has a 7 valve line up. The style is cathedral mantle, wooden case construction. Dimensions (HWD) 445mm x 389mm x 305mm.